Living intentionally. Doing work that matters. 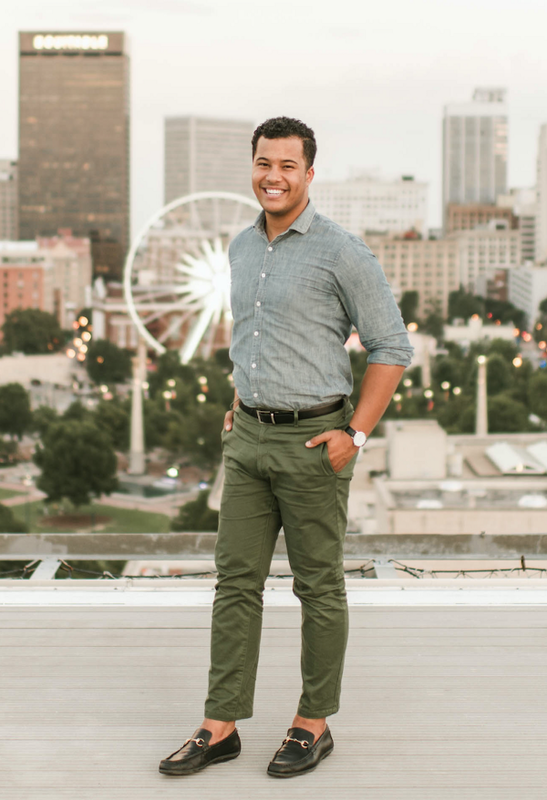 Every week, we take some time to focus on someone in the metro Atlanta area that is doing amazing work that matters. Today, we’re talking with Shean Strong, designer and founder of SHEAN STRONG, an event styling and floral design company. We create timeless and memorable events for you and those you hold close. 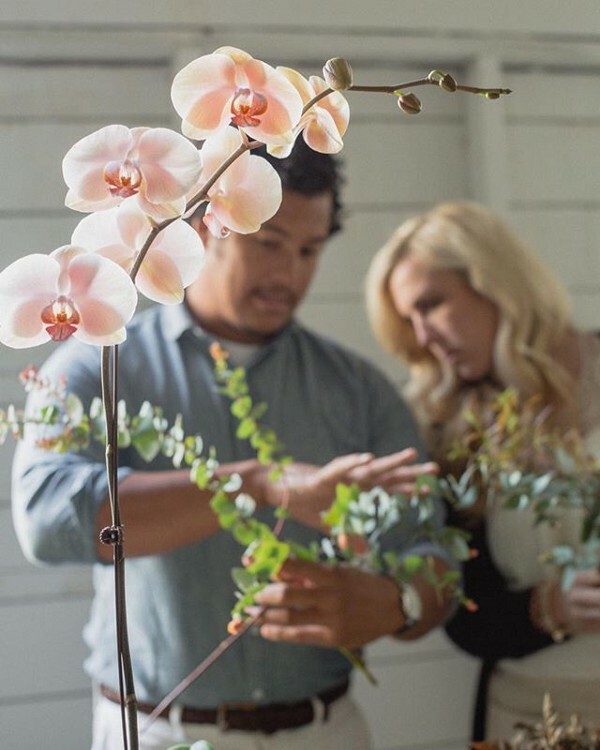 Floral design is my love language, and I design with intentionality and ALWAYS with my clients in mind. I offer floral workshops to teach people how to design, and we are getting ready for our spring course. We usually have around twenty to thirty people sign up to attend, and it’s always a great time. It’s fun to share what I know with the community and get people to create with their hands- I don’t feel like the do that enough. — If I can be a catalyst to stir creativity, I’m all about it. What’s something that you’ve accomplished in the past year that you are proud of? I really feel this past year I have a full understanding of who I am as a designer. Often times creatives get stuck in this “idea” of who they should be but last year I really became more stable in my aesthetic. and myself. I was fortunate enough to travel all over the world for work -from Cuba, to Seattle to Europe and several places in between and I think I can credit that to clients who trust the confidence in what I do. We have grown in short amount of time and credit that to the clients who continually trust us to execute their vision. What’s your vision for what’s next? Where are you headed? For the longest time, our services were limited to creating the floral design part for you wedding or event. But last year, SHEAN STRONG launched full design which, in the wedding world, means having one designer oversee the aesthetic of the whole event. In lieu of a theme, I wanted my fingerprints on every aspect in order to create a cohesive space and give my clients a memorable feeling. Providing this as an option is really exciting, and we now house everything for your wedding or event — planning, coordination, design, and floral. In the last 90 days, have you experienced a new resource that taught you something new? I’m in a lot of forums geared to event planning and design. People will ask all kinds of questions, and my job is to answer them confidently. And when I do that, I enjoy checking that off and thinking to myself, ‘Cool! Now go find something you don’t understand, and learn to do that!’ After forums, business podcasts have been hugely helpful to me in developing a stronger business model. Do you have a recently released project or upcoming project that you’d like people to check out? For sure! As mentioned earlier, we are hosting another floral design workshop, and it’s open to people with all levels of experience. Learn how to create a lush, naturalistic, and garden-inspired centerpiece arrangement using the finest seasonally available blooms and branches. It’s just fun to come out on a Saturday with a couple friends and learn the ins and outs of designing with flowers. I will take you step-by-step, showing you how I create our signature centerpieces, talking through palette, texture, and shape considerations as I go. We provide your vessel to design in, your premium floral, a photographer to shoot the whole class, and light sips and snack as we go. I teach what has taken me years to curate and learn myself. I like to keep the classes pretty intimate so I can give my attention to each attendee and provide critique as well as helpful assistance. We typically sell out in just a few days, so if there’s a spot available, grab it! It’s going to be a great time. Head over to http://sheanstrong.com/workshop/ to sign up. Anything else you would like folks to know? Floral design is my heartbeat. It’s a creative, hands-on means of design, and it’s something that I sincerely love. Feel free to contact us whether you have design questions or want to learn more about this industry. Thanks, Morrowmade, for sharing a bit about who we are! Innovator Spotlight: Ellster Print Co.